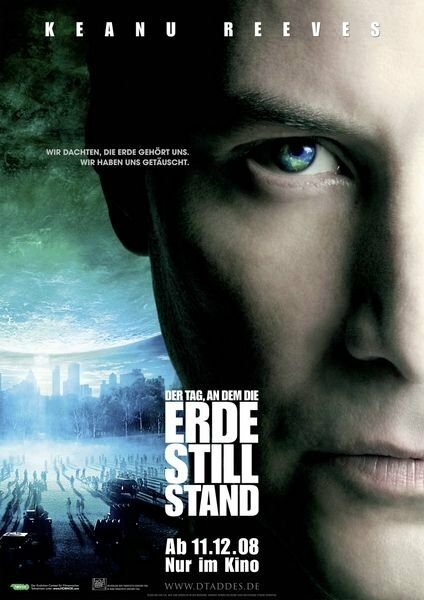 The Day Earth Stood Still Starring … Tom Cruise? Ok, maybe he doesn’t look exactly like Cruise, but Keanu is looking even less like himself in this poster, which makes this a weird design. A poster for a big effects blockbuster that doesn’t really showcase the effects and that makes the star it’s putting front and center hard to recognize. The poster also reminds me a lot of the Spielberg’s version of War of the Worlds, which depending on how you see it may be a good or a bad thing. KEEP UP THE GOOD WORK . TELL US ABOUT SUB- MARINER YEAR 2010 . THANK YOU BILL ZUSCHLAG BONITA SPRINGS FL.